The State of Nebraska requires all CDL drivers to have a valid DOT medical card, unless the type of commerce you drive qualifies as ‘Excepted’. Effective January 1, 2012 , all individuals holding a Nebraska Commercial Driver’s License (CDL) are required to certify to the DMV what type of operation they engage in no later than January 30, 2014. In addition, if you operate in Interstate Non-Excepted, you are required to provide the DMV with a copy of your Medical Examiner’s Certificate and keep current with the DMV. Drivers who cannot meet these requirements or do not wish to retain their CDL can visit any driver licensing office and downgrade their CDL to a Class O (car license). This downgrade must take place by the required deadline in the letter. Failure to provide the appropriate documentation or to downgrade to a Class O license by the required deadline in the letter will result in the cancellation of your CDL. If you have kept your address current with the DMV, a letter will be sent to you from the DMV between January 1, 2012 and January 30, 2014, requesting you to complete a Self Certification Categories Certificate. You will be required to return this form and any accompanying documentation to the DMV main office by the required deadline in the letter. CDL Data Form – download the form here from DMV Nebraska. If you certify as Category A: Interstate and Non-Excepted, it will be your responsibility to keep your medical examiner’s certificate current with the DMV at all times. Please be aware that the Nebraska DMV will not be sending you reminders to keep this information current. In the future, submit your renewed medical examiner’s certificate (medical card – not long form) to the DMV prior to the expiration of your current medical examiner’s certificate. If you fail to do so, your Commercial Driver License will be cancelled. Questions on the new process – Phone: 402-471-3861. I am an owner operator don’t leave state stay within a 100 miles have had a cdl for 20 years never needed one before am a conservation contractor do I need a medical card. You need to check with your local drivers license department for their requirements. You will need to check with your local drivers license department for the best answer. 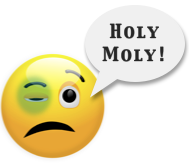 Can an employer disqualify me from driving with only a high level of sugar in a signal urine test. I have since gotten a blood test. The results will be in before my next scheduled shift. However, my employer is not letting me work because she needs the shift confirmed filled and cannot wait for my results. Is this legal? This sounds like company policy, and if it is, then it would be legal. Ask to see the company policy that the HR department has on file. I didn’t get my medical card faxed over in time because I didn’t receive the notice saying it was due and I didn’t pay attention to the due date.I though it was a later time.I was wondering if there’s a grace period? I lost my dot physical card how do I get a copy of my card? Call the office where you got you card and ask them if you can get a copy. Is there an email address that I can send my certificate to? I am on medical leave and my CDL medical examiners card expires in June. I will not be back to work by then. What do I need to do to not lose my license? Do I receive an actual medical Card to keep in my wallet or is it just the large Medical Examiners certificate form, which is to bulky for a wallet? It is the large form. Since the FMCSA examiners forms were changed in 2016, they may not be changed/reduced, so they cannot be reduced to wallet size. Some examiners reduce them to a tri-fold, but it is still bulkier than the credit card size. If I drive a farm plated truck only within 150 miles of my residence, and only haul my farm produce, I no longer need a cdl, however do I need a health card? How about a dot number? I was wandering also if I keep my cdl do I need a health card? 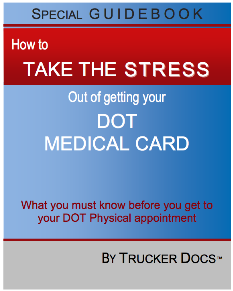 DOT Physical DOCTORS website focuses on interstate federal regulations and drivers. You’ll need to check your questions with your local drivers license department. Probably two different answers depending on whether you keep your CDL or not. can i scan and e-mail my new med. card? When you send in your medical card to the state of NE do you have to send in a new NE self-certification form to be able to be certified? If currently working in a non-driving job but want to keep cdl do you need to have up to date medical card. Yes. See this article on self-certification for more information. Your SDLA may allow you to self-certify in a category that does not require a medical certificate, if your state allows it. The address is listed in the information above. if i forgot to send in my medical card is there a fee or anything to uncancel my cdl when i send in a copy of my medical card? You’ll need to check with your state driver’s license department. We don’t have this information. I believe that any vehicle that is being used for commerce and is in excess of 10,001 lbs is required to have a medical certificate for each driver. I would check with your home state to confirm that statement, I know it is true in Utah. 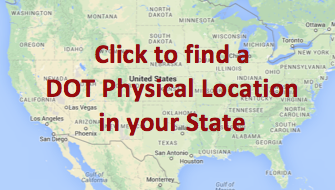 I have several employees who live in Nebraska and would like to check online to make sure that they have their DOT Physical entered into the system before Jan. 30th.. Do you have a website where they can go to check and make sure this information is in and they are compliing with the new regulations? Only a few states seem to have online capability at this stage, and we don’t see any information about this for Nebraska. Your best bet is to try the phone number above, and see if you can get an answer. This close to the deadline, the DMVs are having a tough time trying to keep up with new submissions and inquiries. However, drivers who are not yet in the system are being notified by letter.